Is the World on the Brink of Nuclear Armageddon? Since Donald Trump’s presidential inauguration last month, sales of dystopian fiction have soared. Novels that have flown off the shelf, or recently made it into Amazon’s top ten best-selling books chart, include George Orwell’s 1984, Margaret Atwood’s The Handmaid’s Tale and Huxley’s Brave New World. The resurgent interest in fiction that depicts a bleak totalitarian and authoritarian society reflects the fact that we are now living in a much more volatile and dangerous world. I do not think it is scaremongering to say that in recent years humanity has faced a number of catastrophic or even existential threats. From climate change and the rise in international terrorism to the prevalence of biological and chemical weapons, our capacity for warfare and destruction, and what the poet Robert Burns called ‘man’s inhumanity to man’, is self-evident. But I believe the most pressing and immediate threat is that posed by the arsenals of nuclear weapons that have been stockpiled by the nuclear-armed states of the world who take false refuge in the Mutually Assured Destruction doctrine (MAD). 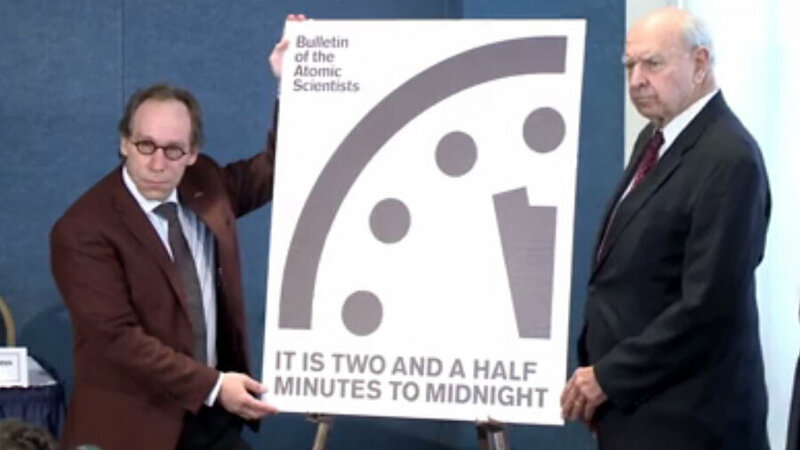 In light of President Trump’s comments about nuclear weapons, last month atomic scientists in Chicago moved the hands on the Doomsday Clock to the closest it has been to midnight for sixty four years. Midnight represents global nuclear war. 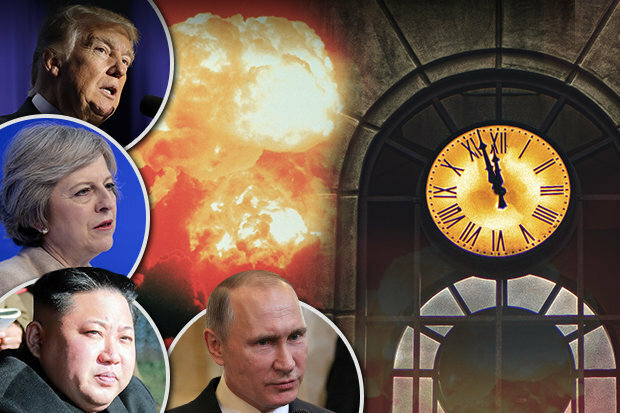 With the ushering in of what some are already calling The New World Order, there are currently several flashpoints across the globe which could trigger a nuclear war. With a realignment in U.S.-Russian relations and Trump’s commitment to NATO in question, if Putin were to invade one or more of the Baltic States the situation could easily escalate and potentially trigger a nuclear strike. Russia itself is preparing for nuclear conflict. In October last year, the Russian government launched a nationwide nuclear training exercise with forty million people. It also unveiled Russia’s latest ‘super-nuke’, aptly dubbed ‘Satan 2’, which has the power to wipe out most of Britain, Northern France, the Netherlands and Belgium in a single strike. This month Vladimir Putin ordered the Russian air force to prepare for a ‘time of war’. Other potential geo-political flashpoints include North Korea and the Pakistan/Indian dispute over Kashmir. A few days ago, in violation of United Nations resolutions, North Korea successfully test-fired a new type of medium to long-range ballistic missile. Kim-Jong-Un, supreme leader of the Democratic People’s Republic of North Korea, has warned the West that he will soon have nuclear weapons capable of targeting the U.S. Whether this is true or not, it seems highly likely that North Korea already has the capacity to put a nuclear warhead on a short to medium range missile which would be in easy striking distance of South Korea or Japan. This, in turn, increases the risk of nuclear proliferation in the region. ‘Everyone thought the news was the report of events; now the reports themselves became news. And the actual events even started to lag behind the latest reports of them. Emotion triggered by the latest media reports created the final explosive event. The communication of nuclear missiles as the latest news was instantaneous. As technology executives in Silicon Valley invest in million dollar nuclear bunkers, the rest of us can battle the mentality that has given rise to this madness. Instead of pressing our very own red buttons at the ballot box, we can ensure that we vote with integrity and emotional intelligence. As hedge-fund managers prepare for the Apocalypse by investing in airstrips and farms in New Zealand, we can invest in our own future, and the future of generations to come, by supporting an international treaty in New York to ban all nuclear weapons. If the time comes, we can take to the streets or participate in other forms of civil disobedience. In our interactions with each other, whether digital or face-to-face, we can be guided, unlike those who peddle alternative facts, by truth. And because truth is aligned to that which is good, we will be guided by love. Small causes can have large effects. This concept is illustrated by the ‘butterfly effect’. It has been said that something as small as the flutter of a butterfly’s wing can ultimately cause a typhoon halfway around the world. Alternatively we can turn a blind eye like the three monkeys who embody the principle: hear no evil, see no evil and speak no evil. The choice is ours. Sometimes I think that, as individuals and as a species, it is not until we are pushed to the brink, that we find the strength to evolve beyond our limited viewpoints and ego. The alternative is almost too unbearable to contemplate – the potential annihilation of human civilization and the destruction of life on an unprecedented scale. 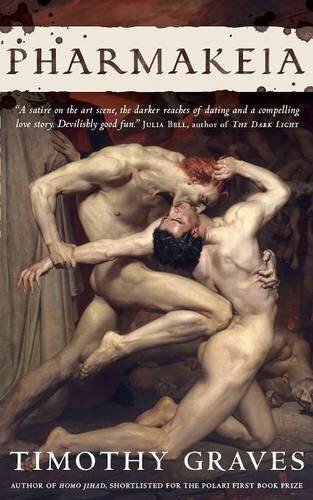 ← Memoir extract: ‘Human Angel’. ‘Among Angels’ at The Courtyard Theatre.